ROAD TOWN, Tortola, VI - The Office of the Attorney General Chambers (AGC) is woefully understaffed and with some monies now approved for new hiring, Virgin Islanders are sure to be paying keen attention. The matter of staffing at AGC, was raised during the House of Assembly’s, Standing Finance Committee’s, examination of the estimates for the budget agency, for 2018. Junior Minister for Tourism and Territorial Member, Honourable Archibald C. Christian, raised the matter when he queried an increase over last year’s budget for personal emoluments. Hon Christian wanted to know if the AGC was hiring additional staff. This would mean, as of April last—at the time of the Committee meeting—the staff compliment referred to by the Attorney General, was only about 37 per cent of what is required—or short, 63 per cent of the complement required. AG Aziz said, the need to increase the number is to ensure that the work load is completed effectively. Hon Christian also enquired if the new staff will be assigned to litigation, drafting or in another legal aspect in the Attorney Office and was told by Hon Aziz, the new staff would be in the area of litigation, “since litigation needed a more supportive team. He said that the drafting division has a very competent team. The Government has spent so much money sending everyone and their grandparents to Law School, particularly to the U.K. You are now telling me that none of those students who have returned to the BVI within the last 10 years at minimum can fill these positions? Please don’t tell me this is an excuse to bring in lawyers. We need to start utilizing our own, give them the opportunity to grow and become qualified for these kinds of positions. Government spends too much money on scholarships to always have to be hiring persons from outside. The government needs to pay these lawyers a decent salary. Why would a lawyer work at the AGC for 5000 dollars a month when in a private practice they take home twice that amount excluding gratuities and other lucrative benefits? Thank you and well done have no value at One Mart, Bobby's or Riteway and at no private health care facilities. Then why do they keep pushing BVIslanders out of that office. 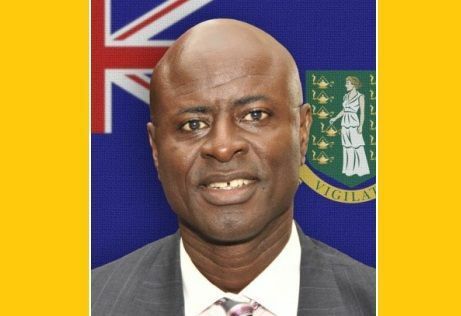 the same lawyer is appointed to protect BVI interests. So the bank in question is not sued or fined or thrown out. 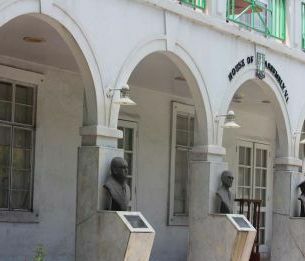 The 'F' lawyer is an Arab who is playing all sides of the fence, and the BVI pretends it's a great place to do business. England is a F moron and picks fights with good people who treat other people good, and who are a lot bigger. @Seriously..Whoever you are, I concur with your position. It is high time the VIRGIN ISLANDS GOVERNMENT PREMOTE AND PROTECT THEIR OWN. I do not have a problem with bringing in foreign counsel for season BUT Promote and Protect our own. Quick , run a “How to be a lawyer “ course at the college. Only hire locals. Fixed.